Mighty House Construction Co-Founders, Doug and Laura Elfline found themselves expecting twins in 2006, and quickly realized that their “postage stamp-sized” place in Georgetown was not going to fit the needs as the family was about to double in size. So they bought a modest house in West Seattle that was originally built in 1980 – but in need of some extensive work before being prepared to bring the twins home. They hadn’t planned on a kitchen model right away, but right as they were putting an offer on the house in West Seattle, a client of Doug’s had a visit to The RE Store noticing an amazing set of cabinets that our field crew was loading off the truck – she called Doug to say “Do you have a client in need of some cabinets? You have to go to The RE Store and check these out”. Before they had even closed on the house, much less measured or had any plans in place, they purchased this set of custom plywood cabinets. 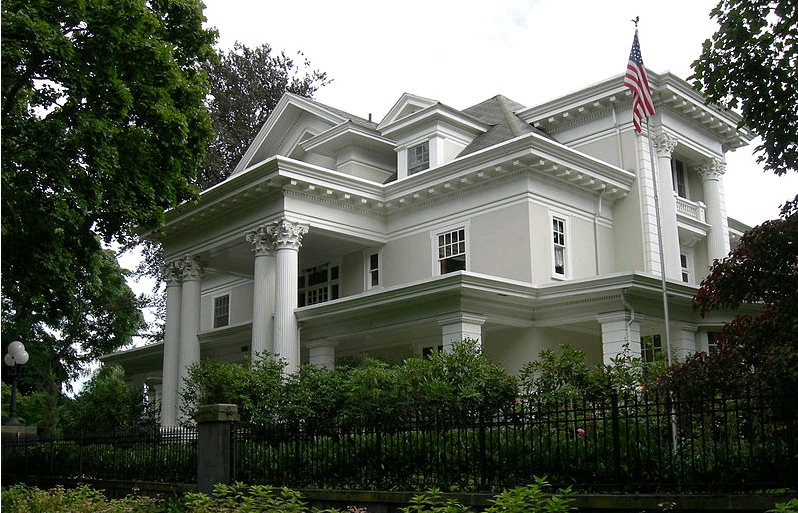 Our field crew remembers the job where they cabinets came from quite well – we pulled the whole cabinet set (original and the well matched custom plywood set) from the Kraft & Posie House, a historical registry home on E Prospect on Capitol Hill. As Doug and Laura like to say, “It is a modest house, but a Mighty House” in that it is their home and gave birth to their sustainable building company, as well as being a showcase for smaller green shifts that have big impacts. Mighty House Construction’s mission is to offer innovative, sustainable building solutions at an outstanding value. Doug, a 3rd generation contractor and Laura, a green building junkie, believe you don’t need radical changes to make a radical shift in your home – and their house is a great example of just that. 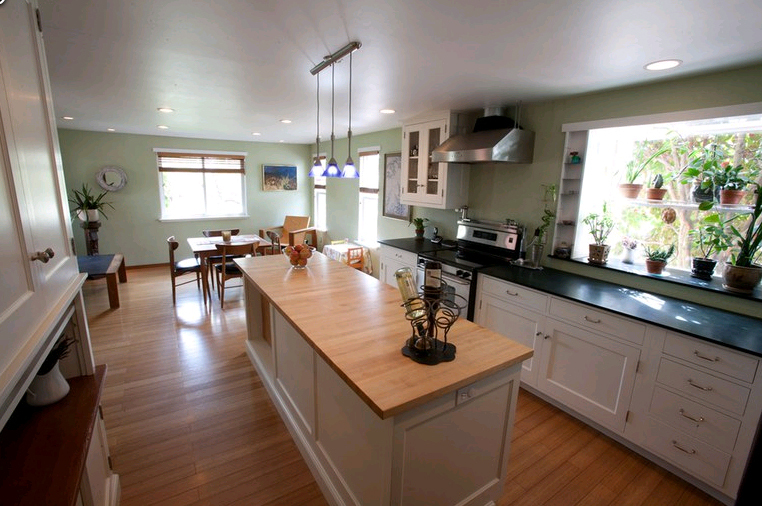 You can check out the house this weekend at the NW EcoBuilding Guild’s 2012 Green Home Tour. The RE Store will be at the Expo event at Green Depot on Saturday (April 21st) and at Mighty House (April 22nd). More info on the Expo and Tour can be found here: nwgreenhometour.org or find the tour guide in the back of Natural Awakenings Magazine.